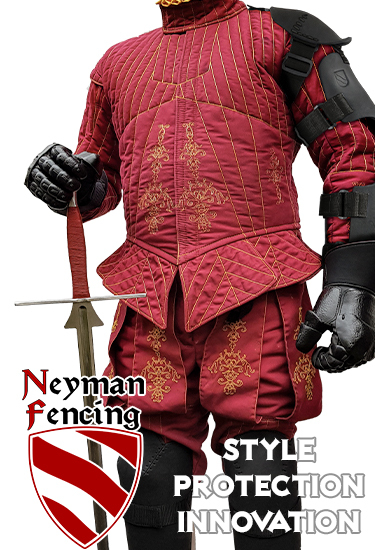 At various points discussions have surfaced again and again, which question the chronology of the fencing styles and schools of late medieval and renaissance times. The question, who could have been the first fencing master and who “invented” a certain kind of fencing, leads often to a discussion on the chronology of fencing books. This ignores a simple fact: all fencing books are more or less products of compilation and/or plagiarism. The percentage of innovation and invention in such a book is vanishingly low. This is due the fact that the art of fighting is older than the art of writing. Thus the claim of uniqueness is always in question regarding the contemporary work of the said authors and masters. Most fencing books were created in the high age of the masters where the art – if successful – had been spread already. For us today the books and the art within is unique, but only because it is not part of our everyday life. So we seek out to find a chronology of unique works where in fact there had been only an evolution of common ground with some extraordinary peeks. 1. The dates of fencing books are always uncertain and provisional. It takes time to create a book. For some of the books we can assume a creation process of more than ten years, some even longer. Books were carried by the owner or by writers from place to place and filled up slowly with interesting content. 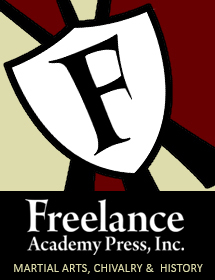 The pages were reordered recompiled and rebound like we would cut and paste digital content today. Some content was copied from one pile of notes into a book, sometimes the pile of notes became a book by binding. Only a few books such as Talhoffer’s Munich from 1467 are assumingly what we would call today a contract work performed in continuous work. And even this work could be done in a period of 1-3 years. If a book a dated by a number/year on a page, this may have happened at any time during creation or much later as an inscription or as notation of ownership. Books devoted to a principal as a piece of service were mostly dated during the transfer. The drawing of the coat of arms of the principal and the presentation were added late. Just like today, the book was first produced and then sold. The final buyer did not need to be the principal of the creation. Books may have been carried around, compiled, and then sold and inscribed with the dedication a few years later. A noted year in terms of ownership or dedication says only that the book had reached a status that it has a certain value. For some owners that may already been the almost empty material, for the most owners this was a book with worthy content. The process of age determination is immensely complex. Looking at the example of Ringeck we see that the determined date done by Wierschin (which was acknowledged by Hils in 1985, and which determined the Fechtbuch of Ringeck to the first half of the 15th Century) was wrong by 50-100 years. Through the method of comparison of the watermarks the book was determined in July 2010 to 1504-1519 and the origin of the paper was identified as the region of Ravensburg. Since paper was used actually quite “fresh”, we know that the Book of Ringeck was created between 1504-1525, at any time in a timeframe of 20 years. The date determination of an object like a book is complicated but the determination of the content is even more complicated. As a matter of routine and part of the knowledge distribution the content was copied and thus the text might be a lot older than the book, it might even have been copied from an older source that is lost, so that the copy is in fact the only remaining “original” to us today. Another method and partly helpful in this issue is using the CV of the person. The currently dated 1443 Talhoffer contains a content of Johannes Hartlieb, the latter has written it in several versions since the first half of the 1430s. To copy it or to purchase a copy for later inclusion in a book Talhoffer must have had an opportunity. In a copy of Hartlieb’s Mondwahrsagebuch we can read: “Dise kunst ward zu teutsch gemacht von einem lerer der heist doctor Johannes Hartlieb de Meglingen udn geschach in Osterreich einem ritter und seiner husfrowen zu dienst der hieß Hans Kuchler anno domini M° CCCCXXXIII” In the book “Prinzip Subjektivität: Allgemeine Theorie Zweiter Halbband: Natur, Gesellschaft, konkrete Subjektivität” (Königshausen & Neumann, 2005) Martin Wenzel questions the correct age determination of Johannes Hartlieb by comparing his work in the existing copies. He even questions the existence of the knight Kuchler and his wife. But this knight is connected with the fencing master Hans Talhoffer. Documents show that the knight and his wife stood bail for Talhoffer when he was imprisoned in Salzburg accused of murder. Talhoffer was at the same time as Hartlieb in Salzburg and Vienna. So this part of the book was probably started in 1434. But the noted dates in manuscript are 1443 on folio 1r and 1448 on folio 18r. Thus we have here the typical case that a book was created over years, or later rebound from of parts of other books and notes. All dates that we have in fencing treatises are therefore considered inaccurate and with a wide variance of several months to several decades. There is a broad pseudo-scientific critique of the chronology of history. A good German speaking summary of the popular theories and authors can be found on the following page: http://de.wikibooks.org/wiki/Kritik_der_Chronologiekritik. This criticism is in most cases terrible nonsense, but as it is with every nonsense it sometimes contains some good ideas and hooks. But probably the only worthy thing on most of the theories is that they are very popular and thus require the need to bring up counter evidence again and again. This effort helps us to complete and sometimes to correct the scholarly picture of history. The scholarly chronology is vulnerable, since it is founded only on a few individual findings in certain regions and periods. Due to the natural decay of the material documents are copied and in this “telephone game” process rewritten by adding or changing facts in re-telling. This had been happened by chance, by the wish to add drama, or with the intention to change or invent historical facts (e.g. to forge legal claims in the process of inheritance). In addition, a large number of early documents are forged. This also relates to objects. The reason for this is seldom political, but often simply because antique things are collectors’ items and worth some money. On a greater scope the chronology is very difficult to attack. I.e. certain events and natural processes are to be considered scientifically sound and as fact. But the more we move into the past, the greater the blur. The methods of age determination are also blurred (analysis of watermarks, dendrochronology, radiocarbon dating etc.). If we can err in the late Middle Ages for some years or decades, the possibility of error in the early days of the history is all the greater. Are we moving back thousands of years, an error of several hundred years is possible. And this creates vulnerability to critics too. In recent decades the research found more and more mistakes. We know of the forged documents today because we know more about the “real” history. Modern times allow us to carry the “knowledge” together and compare internationally applying modern methods. Even as an amateur I can correct the CV of Talhoffer and complete the data, which had cost an huge effort for Hils 30 years before. Researchers can access faster and more sources (even those that were previously hidden from the public before e.g., private collections or the Vatican Archives). It will certainly take some decades before we have a really good detailed view of the history of the Renaissance and the Late Middle Ages. It will take longer, the further we go into the past. We live in exciting times in this regard. If we build a chronology of fencing books before the late 16th century, this will be forcibly wrong. We can do that in terms of centuries (or for recent books) but if the dates of two books with similar content are in a period of 10-30 years, we will only be able to say who copied from whom, when it is implicitly written in it or if we can show the supporting evidence in the CV. The latter is very difficult to perform, in most cases it is impossible to do. A textual analysis by scientific methods is helpful, but it can only display a relationship, the sequence is unknown. Here we have to accept that an sound evidence of a sequence may never be obtained. PreviousSmallsword… for we are many. Independent researcher and instructor at Zornhau, Germany, for any single handed weapon. Great article, thanks. Could someone please link the reference to the info showing that Ringeck’s glosses are 16th cent? this is gonna challenge a lot of smug people. I think you made a really important point that I would paraphrase as: fighting is a constant and any codification of a system of it does not ascribe authorship to an individual. If someone finds the Manchester United training and tactics manual in a thousand years does that mean they created football? Also because the people who have access to this manual are all elite and rich does it mean that in the period only the rich special elite played football?